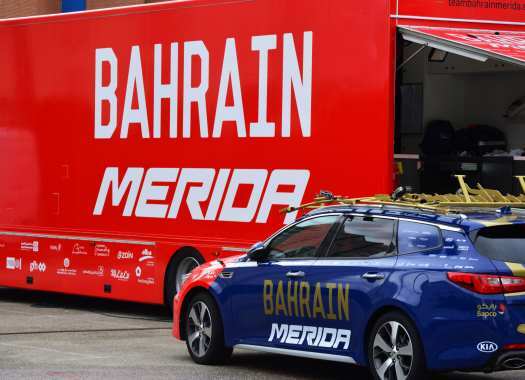 Bahrain Merida has announced its line-up for the Tour of Oman. The race will have opportunities for various types of riders and will be a good test at the start of the season. Bahrain Merida will start in the race with one leader for the fast stages and another as the GC card. "The Tour of Oman is not an easy race, starting with the first stage that runs along the coast with the threat of the wind to end with the climb of the Green Mountain," said Sports Director Alberto Volpi. "Our Sonny Colbrelli will have more than one occasion to try to win a stage, while Domenico Pozzovivo will aim for the GC." Colbrelli starts in the race after finishing the Volta a la Comunitat Valenciana. "It has been a good experience for me; the Spanish race allowed me to get more pace and I’m happy with my condition," the rider explained. "In Oman, in addition to the two stages for pure sprinters, there are two stages with a slight uphill finish where I can make a result." Pozzovivo has been spending some time training on the Canary Islands. "The Tour of Oman is a race that I have always liked and where I entered the Top Ten several times, the last one in 2016," the Italian commented. "After a good training period, I’m ready to give my best hoping to go higher as possible in the overall."